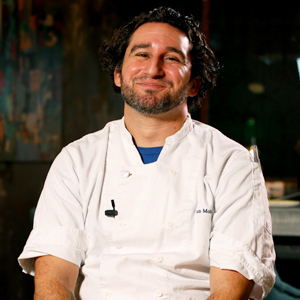 Sam Molavi is the executive chef at Compass Rose in Washington DC, where he creates New American cuisine made unique by an eclectic international influence. As a native to the city, Sam’s culinary career sprouted and flourished in some of DC’s top restaurants, beginning as a line cook at Marcel’s and eventually landing the sous chef position in the kitchen at Ripple. Sam has worked his way up the ranks, honing his skills and sharpening his culinary perspective to bring a touch of originality and sophistication to all of his dishes. This aromatic, sweet and sour condiment adds a burst of flavor to dressings, marinades, cooked meats, and charred vegetables.